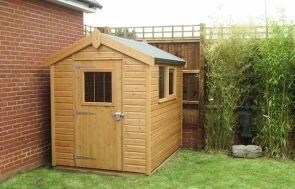 This 3.0 x 3.6m Superior Shed has been installed in our customer’s garden in Cheam, Surrey to use as an overflow storage area from their garage. The outside of this Superior is simple, yet attractive, with heat-bonded heavy duty felt on the roof, Georgian windows, shiplap cladding, and the shed has been finished off in the natural green colour, Sage, from our Valtti paint range. A security pack has also been fitted to ensure everything that is stored inside is kept safe, and this comprises of a seven lever lock and heavy duty sliding bolt, security screws for the door hinges, and stainless steel window bars. Internally, the customer chose to have a workbench underneath the windows to store small items on and under, and there is also a heavy duty floor, which is ex 38mm thick instead of our standard ex 19mm thick. The customer anticipates having to store some quite heavy equipment in the shed, so they wanted to be prepared and have a floor they know is going to be able to take the weight. 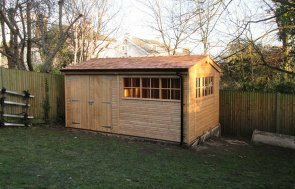 There are many options available with our Superior Sheds, and we can make them in a large range of different sizes, so whether you want a small basic shed, or a large, complex, year-round workshop, the Superior Shed range will give you what you want. 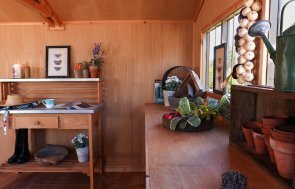 You can explore these features further by using our Online Garden Building Planner Tool and creating your own ideal shed. 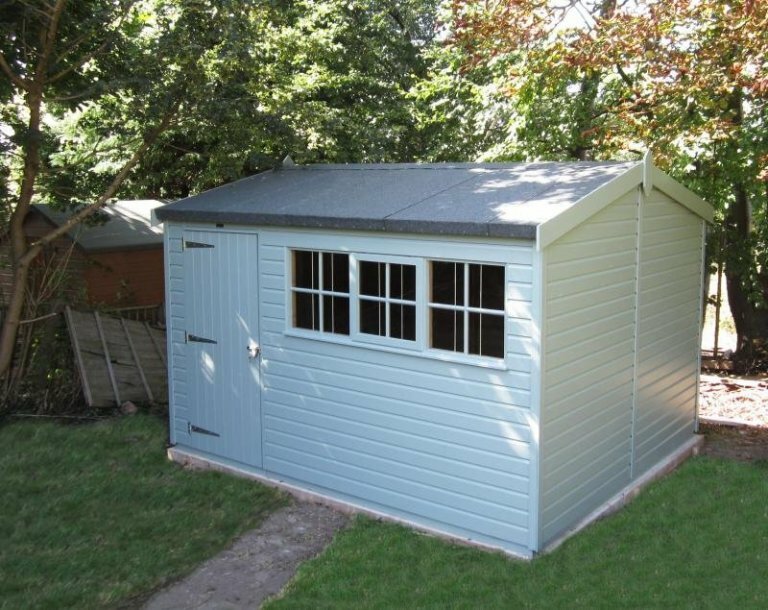 For more information on our range of Garden Sheds, please call us on 01760 444229 or come and visit our Sunningdale Show Centre to view our extensive range yourself.